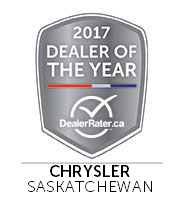 At Crestview Chrysler, we’re committed to excellence, both in terms of the vehicles we sell and the services we provide. 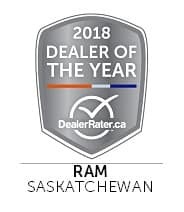 We love helping drivers in Moose Jaw, Regina, and the surrounding areas with all of their automotive needs, and we feel great pride when we’re recognized for excellence, as we have been by DealerRater. Not only has our dealership been recognized as a 2017 Jeep Dealer of the Year and a 2017 Chrysler Dealer of the Year, but we’ve also earned a 2017 Consumer Satisfaction Award. 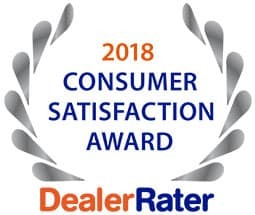 These awards reflect our commitment to you, our customers, and we’re going to continue to maintain our high standards every day. The Customer Satisfaction Award is given to dealerships that meet Dealer of the Year criteria. Most importantly, it reflects what matters most to us: our customers. 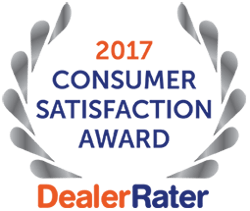 We’re honored to have earned these awards from DealerRater, but we’re not going to rest on our laurels. 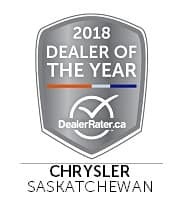 Whether you’re in the market for your next vehicle or you need maintenance and repairs for your current car, visit Crestview Chrysler at 601 Albert St. in Regina, SK and let us help.